Facial Rejuvenation with Acupuncture is safe and effective and there is no down time, unlike most other invasive cosmetic treatments. Read more about our aesthetic services below. Looking for a safer alternative to cosmetic surgeries or injectable toxins? 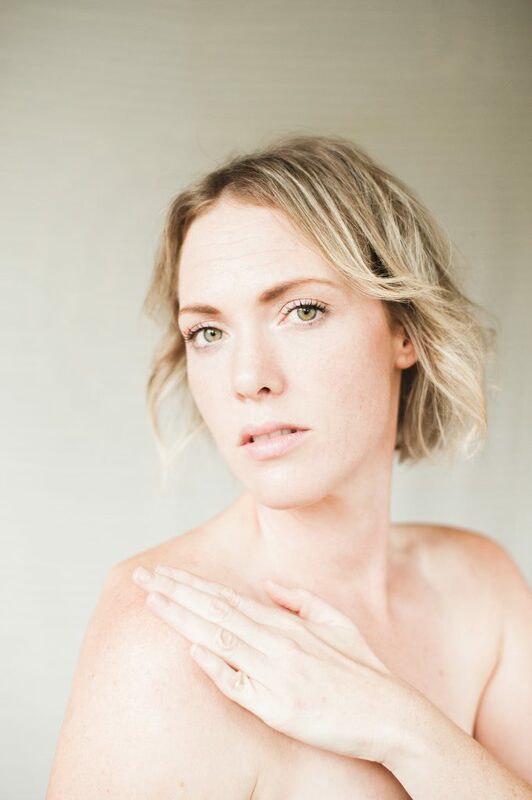 Dr. Ellie Heintze, ND, LAc, a naturopathic physician and acupuncturist in Bothell, Washington, offers natural and effective facial rejuvenation acupuncture for more youthful glowing skin. We can help rejuvenate your skin and help you have a healthier, younger appearance without surgery or downtime. Call the office at (425) 686-4498 to schedule a consultation to take the first step toward healthier, glowing skin! Facial rejuvenation acupuncture “Acu-lift” is a comprehensive, effective treatment for improving muscle tone, reducing puffiness, and minimizing fine lines. It is becoming extremely popular because it is an effective non-invasive therapy to enhance the skin’s appearance. Many people are choosing to revitalize their look with a youthful glow and vibrant healthy skin with this safe and far less expensive alternative to surgery. Facial Rejuvenation treats the underlying cause of pre-mature aging by stimulating your body and immune system to revitalize your skin. It has been shown to increase blood and lymph circulation to the face, stimulate collagen production, balance hormones, eliminate puffiness, and can even help those with severe acne and rosacea. Clients also note a reduction of fine lines and a dramatic reduction in deep wrinkles, decreased sagging, improved muscle tone, pores appear smaller, cheek bones are defined, eyes are brighter, and stress is less evident on the face. Patients say it has taken 5-15 years off their face and they have a relaxed glow! Facial Rejuvenation with Acupuncture is safe and effective and there is no down time, unlike most other invasive cosmetic treatments. Your body reacts to the acupuncture points by going into “repair mode” and through stimulation of your lymphatic and circulatory systems. Together, these systems attempt to heal from the tiny needles by sending oxygen and other nutrients to nourish your skin from within. The needles also stimulate collagen production to minimize lines and increase elasticity. As a result of these changes, you may notice a more even skin tone and a brighter outward appearance. Fewer stress lines “Look less stressed”! What are benefits of LED light therapy? Our treatments often include LED light therapy in our Glow Rejuvenation Protocol. Light therapy is used to enhance the acupuncture treatment and not only is it relaxing but also a pain-less component of the rejuvenation protocol to correct skin challenges. LED light therapy has been shown to treat skin challenges such as premature aging, acne, inflammation and hyper-pigmentation. There are several different color LED lights that serve different purposes. The Red LED light used most frequently in the treatment is used at a frequency that has been shown to reduce fine lines and wrinkles, boost collagen production, and reduce redness and inflammation of the skin. During your initial Glow Skin Consult, we will go through your health history, lifestyle and dietary habits and see how we can best reach your aesthetic skin care goals. Treatments may include cosmetic acupuncture and/or body points to enhance skin health, LED light therapy, dietary coaching to enhance skin health, and rejuvenation facial products. Special skincare products maybe applied on the face after your LED light therapy treatment and given to use at home. By the end of your facial rejuvenation treatment, your face will glow with radiance and you will leave our office feeling wonderfully refreshed and balanced. Depending on the individual’s age, genetic makeup, diet and lifestyle, the number of treatments needed may vary. It takes an average of 12 to 20 treatments to achieve lasting results. By the end of your series of treatment, you can expect to look and feel 10 ~ 20 years younger! Your facial rejuvenation program is unique to your needs. After the initial consult, Dr. Heintze will create a specific program to fit your aesthetic goals. The treatments don’t require any downtime and many people come in on their lunch hour. If you are seeking treatment for a special occasion, I recommend completing your sessions 2-4 weeks ahead of your event. Treatment plans vary with each person’s needs and will be addressed after the initial consult.